The article quoted Dr. Michael Weintraub, a neurologist at New York Medical college, who described women suffering from high blood pressure who visited hairdressers and suffered mini-strokes. Dr Weintraub warned that vertebral arteries could be damaged as blood flow to the brain was restricted. And the cause? The neck being bent back too severely during hair washing! Violent movement of the head during shampooing could also be dangerous. The article also warned that activities such as painting ceilings, looking up at the sky, adjusting head position when wearing bifocal spectacles or looking at computer screens could cause a mini stroke! The article focuses on the risk to those with high blood pressure and there is little evidence that `Head Back Syndrome’ is a danger to the general healthy population. Simply tilting the head back does not cause medical problems. Experience and common sense tells us that the body is not so feeble. If people were at risk of injury from just tilting their heads back during everyday activities the human race would have died out. The body is far more more robust that that. It does, however, highlight the need for non-violent and to avoid extreme movements – especially for people suffering form high blood pressure. Tilting the head back over a basin to wash hair involves some considerable pressure by the basin on the back of the neck, and violent movement while shampooing would certainly be risky. It is not surprising that injuries were caused to people with high blood pressure in such circumstances. The following link to an article gives more information on the specific problem of `Beauty Parlor Stroke‘ and explains that it concerns prolonged extreme or violent head tilting in susceptible people. Should sufferers of high blood pressure who practice Eastern health arts be concerned? 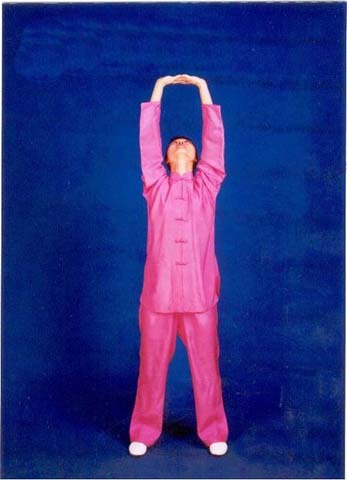 Every style of Yoga and forms of Qigong have postures requiring the head to be tilted backwards in some way. However, there is a huge difference between prolonged or extreme head tilting and head tilting devised for gentle, controlled and therapeutic exercise. Simply tilting the head back in itself is obviously very safe. and so `head back syndrome’ is unknown both in Western health and fitness and in the Eastern health arts. It is estimated that worldwide around 200 million people practice Qigong and about 30 million practice Yoga. 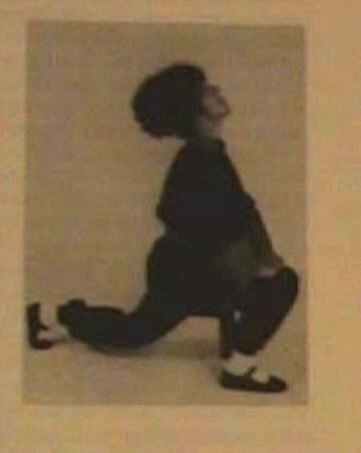 So approaching a quarter of a billion people regularly practice exercises that involve tilting the head back in one form or another. Many of these practice these arts to help their blood pressure. I know of no Yoga or Qigong instructor, governing body, school or organisation in any Eastern health art that has reported problems with tilting heads backwards. Even those suffering from with high blood pressure can safely enjoy these arts if performed gently and with correct technique. Bruce Johnston advised students who were doubtful about the safety of the exercises to show his book to their physician. His book was forwarded by a medical doctor, and my book was similarly reviewed by a medical doctor. Jiangan stresses safety that is strengthened by moderation and adaptation. If people with high blood pressure are concerned about practicing the few exercises that require the head tilted backwards, these can be performed without tilting the head or tilting it only slightly. If someone has high blood pressure they should, of course, consult a doctor before beginning any exercises activity. But there is no evidence that tilting the head back in gentle therapeutic exercises is harmful. Indeed, such postures were created specifically to give health benefits. The `twist and side bend’ combination using a pole, stick or broom handle is a good exercises for trimming the waist and `love handles’. 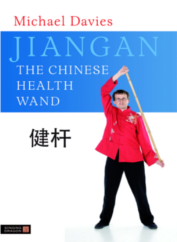 The most effective and safe method is `Twitching of the Dragon’s Tail’ from Jiangan’s 17 exercises routine. It involves slow, gentle and gradual progress with deep breathing, the pole resting gently on the shoulders, grasped and controlled by the hands to prevent it pressing down on the spine. The number of repetitions is left to the individual. With this technique can benefit. Contrast this technique with the video below which is typical of the technique employed by many modern trainers. Firstly, the pole pressed onto the shoulders by open hands so there is no control of pressure. It is performed in a fast and jerky manner. The practitioner’s hands do not reach the face in the twists and the elbows do not touch the hips in the bends. This is because performing these exercises at speed in a jerky manner reduces the efficiency of the stretching. 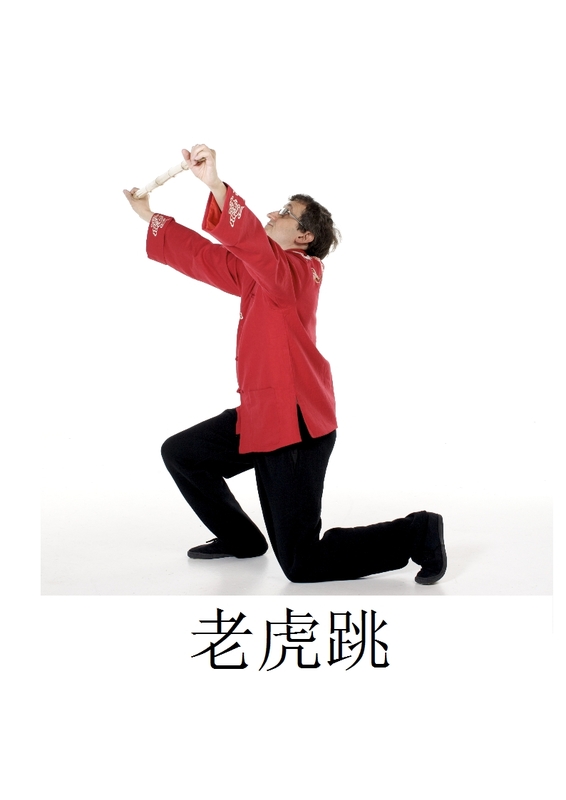 Also, the practitioner advises a huge (and random) number of repetitions – 100 twists! By using gentle slow stretching there is less need for repetition because the stretches go deeper. People come up with their own ideas and try to reinvent the wheel. But with Jiangan we have access to mature techniques polished by previous generations. We should learn from them and make our exercises more effective and safe.